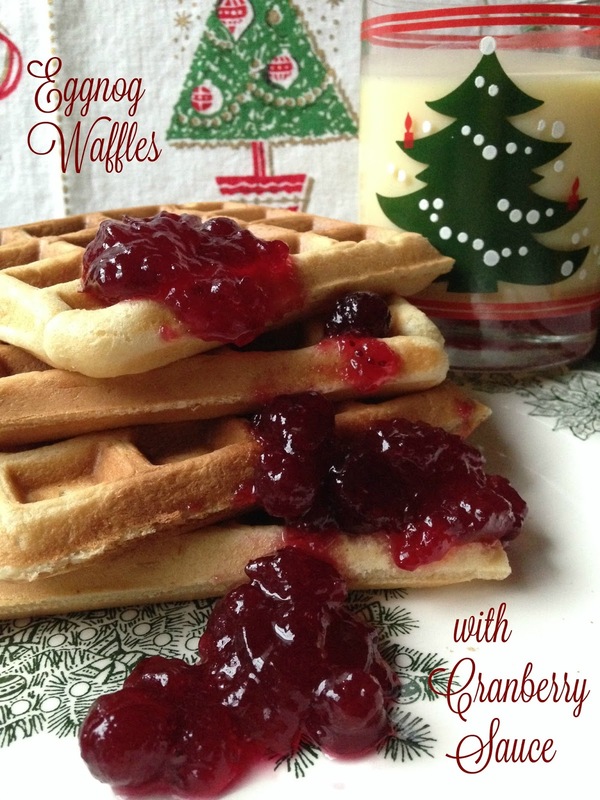 Start your day off right with this easy recipe for Easy Eggnog Waffles. Eggnog Waffles are made easy with a boxed buttermilk complete pancake and waffle mix, purchased non-alcohol eggnog and topped with warmed canned whole-berry cranberry sauce. You can also serve these waffles with warmed maple syrup or any flavored syrup you like. Eggnog is a homogeneous blend of milk or cream, beaten eggs, sugar, nutmeg and usually Liquor of some kind such as: Rum, Brandy or Whiskey. Liquor-free eggnog has long been served to convalescents and growing children as a tonic…(*Say What?) Some eggnog is made by separating the eggs and stiffly beating the whites before adding them to the milk mixture, producing an airier brew. Commercial eggnog is alcohol-free and can be found year-round in some locations. Place pancake/waffle mix into a large bowl. Add eggnog, vanilla extract and oil. Whisk together just until moistened. Set aside for 10 minutes. Empty can of whole-berry sauce into a small glass bowl, microwave for 60 to 90 seconds to warm. Stir waffle mixture. 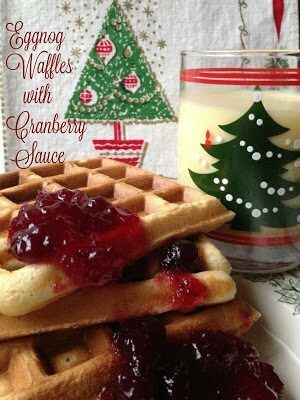 Pour desired amount of batter into lightly greased waffle iron. Bake until steaming stops and light turns green. 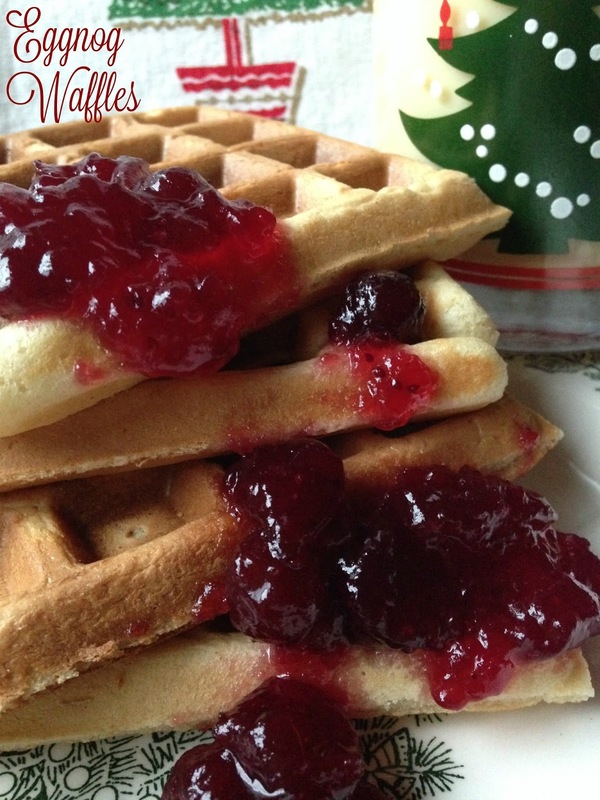 Remove waffles from waffle irons. *Eggnog information from: The New Food Lover’s Companion.